At Kudelski, we leverage our unique history of innovation and engineering, and a programmatic view of client security, to adopt a different approach to cybersecurity and help change the security paradigm. In your role at Kudelski, you’ll be surrounded by a team of the brightest business and technical minds in cyber security. We are passionate advocates for our clients and know from experience that the best solutions for our clients come from working hard together to find a personalized solution for their business. Our industry and our company are fast moving, which mean you will enjoy new challenges every day. We are looking for forward-thinking, client-oriented and motivated professional to join us. If you are someone who knows how to think big, collaborate well and embrace innovation and change, we would love to have you join our team. As a Cybersecurity Solutions Architect, you will partner closely with sales, services and sales support to acquire new clients, expand our positions within existing clients, and drive consistency in Kudelski Security’s delivery of cybersecurity security solutions. This includes solution selling to clients - leveraging offerings from across Kudelski Security’s broad portfolio of products and differentiated services. You will work independently and with sales teams to engage with clients and prospects for executive briefings, technical consultations, contract discussions, and product requirements. 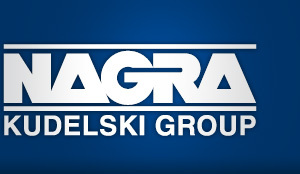 This involves partnering with a cross-functional set of Kudelski personnel including Sales, Marketing, Partnerships, Professional Services, Finance, and Legal. The ideal candidate will be passionate about cybersecurity and the delivery of services-based solutions to the growing cyber threat. A self-driven, autonomous and highly motivated proven cybersecurity industry professional familiar with a broad range of cybersecurity technologies, processes and concepts. An individual able to work internally and externally to ensure the security solution needs of our client are met. 5 years’ experience in technical pre-sales/sales engineering selling cybersecurity solutions (products and services). 5 years’ experience with various cybersecurity technologies, processes, and concepts including cloud security, EDR, SIEM, IAM, PAM, IDS, ADC, NIST CSF, CIS Top 20, etc..
Up to 25-50% travel may be required, depending on client onsite requirements.